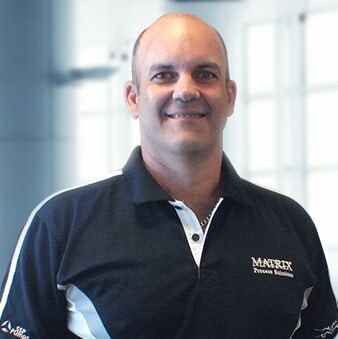 Matrix Process Solutions (MPS) provides innovative technical solutions to the Brewery, Food, Dairy, Beverage, Pharmaceutical and associated industries in Australia and Oceania regions. MPS is the only “Master Distributor” in Australia for the Alfa Laval sanitary portfolio, a distribution partnership which has been in place since 2001. We also collaborate with the world’s leading brands such as Liag, SSP Pumps, Ampco Pumps, Murzan Pumps, Pipetite, Keofitt, Toftejorg, TriClover and many others. Every site, client and project are unique. Our philosophy is tailor-made solutions, providing cost-effective process outcomes, delivering low cost of ownership capital investments combined with programmed scheduled maintenance and asset service interval monitoring. And we do all of this with an intensive focusing on reducing environmental impacts. Our philosophy is to under promise and over deliver, keep our promises and always follow through. To take responsibility for our actions, respect each other equally, and act with honesty and courage. With respect and forthrightness, we are committed towards professional service. Treating people with dignity, caring passionately for our environment, and understanding customer needs with empathy. Taking pride in what we do, we set high standards for ourselves and others, never compromising in our workmanship. We pursue excellence through continued improvement and professionalism. Let Matrix be the beacon of quality. We are committed to improving what we do every day, and this includes our people. We encourage and support individuality, development, autonomy, interdisciplinary collaboration and teamwork. The existence of our Company is built on the foundation of the people who work within it. We recognise their efforts and sacrifices as the success of our business. We will always be receptive to new ideas and industry leading technologies, and we embrace the future and changes the future brings with enthusiasm. We harbour an appreciation for creative discovery and innovation which provides our clients with the best solutions. Our collective strengths will enable the Company to thrive. Our first priority in every project is safety—of people, equipment and the environment. We understand our obligations and manage these risks well before we even arrive at site. We work with clients "In Place" safety protocols, and bring our own standards to bolster site safety and working conditions. MPS provides input at the earliest stages to ensure our brief offers the best value to our clients. Understanding the stakeholder’s requirements and documenting these from the very start, removes ambiguity from the process. It gives all parties involved a clear understanding of the objectives moving forward. Typically, we also find this is a key moment for "Cost Planning". Handing over a facility on time, under budget, and producing product to the brief is certainly rewarding, however we believe the journey continues long after handover, and it is here where MPS truly partners with business to monitor, review, analyse and make continual and on-going recommendations to truly keep facilities "State-of-the-Art". A key part of this challenge is managing change, in a dynamic and technology driven landscape, our partnerships and collaborations with key industry manufacturers means we are always at the forefront of innovation and technology. MPS has developed an industry reputation for not only delivering industry leading facilities using quality manufactures equipment, but also providing exceptional commissioning support, training, which can and often does extend to "Production Support" during production trials. Facilities are more than the sum of the individual components, savings in trade waste, unit input costs and cost of ownership over the life of the equipment, are the typical "Key Drivers" facility owners require in today’ competitive environment. The key to successful projects is in the planning, both to achieve on-time and on-budget results. MPS meticulously selects suppliers and sub-contractors to deliver industry best results. That is, meeting or exceeding all process criteria stipulated in the process brief. With the facility "Concept" now documented, we call on our internal engineering team and considerable network of time proven alliances with specialist consultants. Collectively, we prepare the project brief document, capturing the specifications of the process and other key features of the facility, equipment and process outcomes. Collaborating with quality equipment manufacturers we ensure the best outcomes are delivered to the facility, meeting all the specified process outcomes. At this point, specifications and tenders can also be prepared on behalf of the client, along with the costing model and project framework to be adopted. Progressing from simple feasibility to concept, MPS engages with the stakeholders to explore the industry best practices, latest technologies and "Best Fit" for the facility. Exploring costing budgets is typically explored in this phase of the project development. Previous experience with Alfa Laval Flow Division as the National Sales Manager and later the Managing Director in Australia. A Mechanical Engineer with hands on experience and strong background in delivering smart design process solutions. and other key features of the facility, equipment and process outcomes. Hailing from a long breadth of experience working with the Alfa Laval Flow Division both in South Australia, Mark Statters, would later became the Queensland Manager for the division. His role currently serves as both Executive Director and Company Secretary. 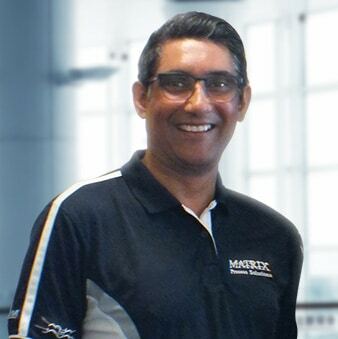 Kumar Naidu has immense experience in process solutions, working with the Alfa Laval Flow Division in Victoria as the National Technical Manager. 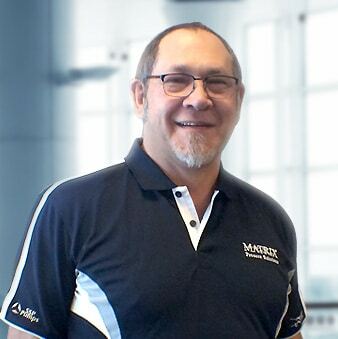 He specialises in product development and integration into the Australian process industry. Prior to this he has worked with companies such as APV and Pedco Engineering.